A little more on that grip-idea –as it relates specifically to ENTJs. When an ENTJ stops utilizing his upper functions (Te-Ni) to their full capacity, he is prone to a rather unique problem. He tends to get stuck in his lower functions, which isn’t necessarily a good thing, because rather than being a doer, who plans and visualizes what he wants his life to be, be becomes something else entirely. He turns lazy, and laziness never made and ENTJ happy. When an ENTJ lacks a goal, he lacks a purpose, because an ENTJ without a direction is like a ship without a sail. He doesn’t go anywhere. He doesn’t accomplish any of the visions that he has for himself because he’s busy indulging in activities that provide instant gratification and no long term reward. This is Falstaff. 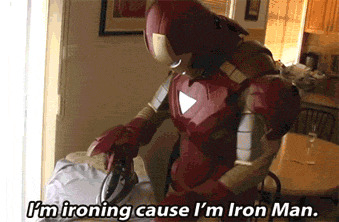 This is also (sometimes, but not always) Tony Stark.